Priyanka Khati and Swikriti Mukhiya of Saint Joseph's convent School Kalimpong has jointly Topped The Kalimpong Subdivision With 95.4% In the I.C.S.E Boards Exam,followed By Subanshu Singh of Saint Augustine School with 94.4% .Both Convent and Augustine School Has Obtained a Cent Percent Results along with Dr Grahams Homes whose student Ninad Subba scored 93.06% .Rockvale Academy like last year too his year has come out with cent percent whose student Astha Priya has scored 91% , Vrindawan , ST Xavier and Grace English School of Pedong too has a sent percent result . Sapthashri Gyanpith Samiran Subba scored 90.2%. 170 out of 195 student passed from Saptashri this year. 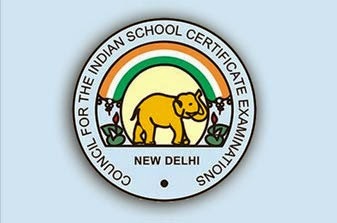 Mount Carmel 23 out of 25 and Sprindale 33 out of 35 student have passed the exams. All the information is received from Lawan Pradhan Convenor of ICSE school Kalimpong.